DNA research/Clay tablet of summer in the Middle East. First, a story as told by extraterrestrials. The old race also called ones or people of the light. They understood how to create life, and they wanted this territory for their own reasons. Territories are created and held by certain energies for many reasons, one of which is that there is consciousness within all things. Consciousness communicates continuously. Consciousness vibrates or can be led to vibrate, at certain electromagnetic frequencies. Electromagnetic energies of consciousness can be influenced to vibrate in a certain way to create a perfect source of food. Consciousness can be prepared and ingested in a variety of ways. Some entities, in the process of their own evolution, began to discover that as they created life and put consciousness into things through modulating the frequencies of forms of consciousness, they could feed themselves; they could keep themselves in charge. They then began to Figure out that this is how Prime Creator nourished itself. Prime Creator did send out others to create an electromagnetic frequency of consciousness as a food source for itself. The new owners of this planet arrived and had a different appetite and different preferences than the former ones. 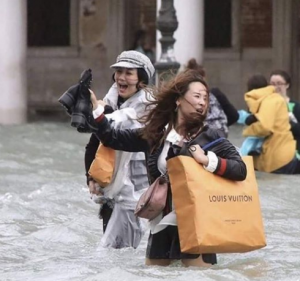 They nourished themselves with chaos and fear the more the better. These aliens used to feed off the affected humans, it stimulated them and kept them in power. 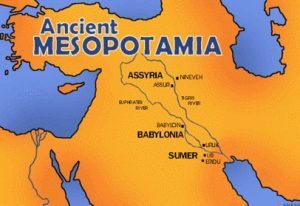 These new owners who came here 500,000 years ago are the magnificent beings spoken of in our Bible, in the Babylonian and Sumerian tablets, and in texts all over the world. They came to Earth and rearranged the native human species. 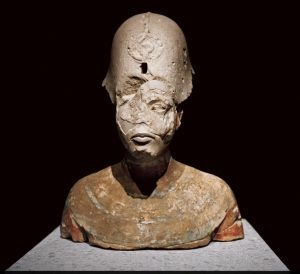 We are look-alikes but their brains are between 50-100% larger as old statues of prehistoric the Faro’s. When they lost the space war 5000 years ago went underground and humans hold that position without any real power. It was Zecharia Sitchin who translated and reinterpreted ancient tablets and inscriptions (many of them non-existent or not documented by any archaeologist or specialist in -Babylonian languages) from the villages where the first civilizations emerged. They rearranged your DNA in order to have you broadcast within a certain limited frequency band whose frequency could feed them and keep them in power. Low frequency as transmitted under stress, fear, survival, hunger, anger, competition. Anything [of DNA] that was unnecessary for survival and that could keep you informed was unplugged, leaving you with only a double helix that would lock you into controllable, operable frequencies. 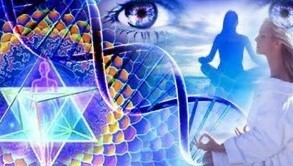 When you do add up all pieces of DNA left shattered you can construct a twelfth string helix. A frequency fence, something like an electrical fence, was put around the planet to control the frequencies of humans, to be modulated and changed. In Airl case there seemed to be no need to feed, his craft was equipped with devices for creating, amplifying and channelling light particles or waves as a form of energy. 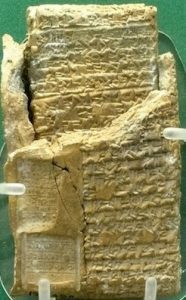 Clay tablets found in Sumeria and translated by Zecharia Sitchin. Ilat tablets found in Antartica in 1939. 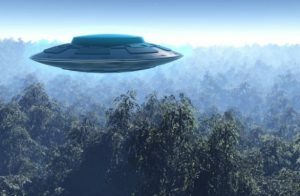 And Airl the alien interviewed by Matilda and the craft able to produce synthetic feed, by creating, amplifying and channeling light particles or waves as a form of energy. Artificial food? 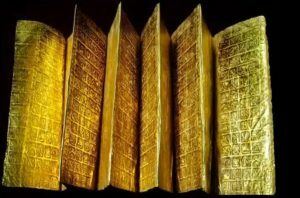 Zecharia Sitchin translated and reinterpreted ancient tablets and inscriptions (many of them non-existent or not documented by any archaeologist or specialist in -Babylonian languages) from the villages where the first civilizations emerged and written many books about the information found. Alex Collier claims that the reptile species of Alpha Draconis and Rigel Orion, although involved in short-term mind-control projects, are also interested in long-term genetic-control as used in Eden, that is introducing genetic information into a conquered race in order to keep succeeding generations subjected to the Draconian elite by sabotaging certain genetic strengths. From a 12 string DNA too 2. 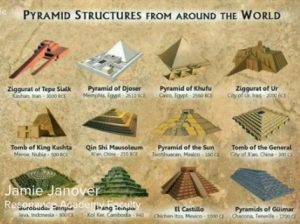 Most of the pyramids on Earth and build in the past carry their signature. Please have a look at pyramids. 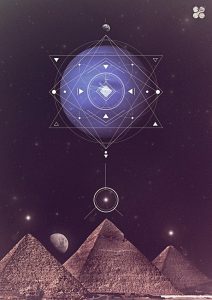 A relationship between the fourth dynasty Egyptian pyramids of the Giza Plateau and the alignment of certain stars in the constellation of Orion. Observations have shown that Orion, and Mintaka, the smaller more easterly of the stars making up Orion’s belt was offset slightly from the others. That our behaviour as humans on earth is heavily influenced by the “hypnotic commands” given to each captured soul between lifetimes. Instead of working together, we are told to try and dominate, compete, allowed to fight and cheat and now by reaching technological capabilities which are no longer matched by conscious, ethical and moral standards a problem. The only long-term solution to undo what did happen in the past at Eden, some, therefore, call for the return of the Annunaki, the executors of these instructions. Comparing these sources of information with the published outcome or the public Science/Genome project. “Humbling” was the prevalent adjective used by the scientific teams and the media to describe the principal finding – that the human genome contains not the anticipated 100,000 – 140,000 genes (the stretches of DNA that direct the production of amino acids and proteins) but only some 30,000 ± little more than double the 13,601 genes of a fruit fly and barely fifty percent more than the roundworm’s 19,098. What a comedown from the pinnacle of the genomic Tree of Life! Normally you would expect that a being evolving in an evolutionary way would lead to an expansion of genes. Here we see the opposite. Moreover, there was hardly any uniqueness to the human genes at all. They are comparative to not the presumed 95 per cent but to almost 99 per cent of the chimpanzees, and 70 per cent of the mouse. Human genes, with the same functions, were found to be identical to genes of other vertebrates, as well as invertebrates, plants, fungi, even yeast. 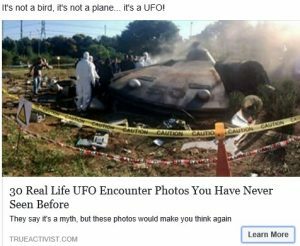 Also clear that humans cannot be linked to the Ape, nor that life is an accident or we are the only advanced civilisation in the universe. Our scientist does have a lot to answer for. The findings not only confirmed that there was one source of DNA for all life on Earth, but in addition also enabled the scientists to trace the evolutionary process – how more complex organisms evolved, genetically, from simpler ones, adopting at each stage the genes of a lower life form to create a more complex higher life form – culminating with Homo sapiens. That finding alone raises doubt regarding that the “bacterial insertion” explanation. It was here, in tracing the vertical evolutionary record contained in the human and the other analyzed genomes, that the scientists ran into an enigma. The “head-scratching discovery by the public consortium,” as Science termed it, was that the human genome contains 223 genes that do not have the required predecessors on the genomic evolutionary tree. Must have come from somewhere else. The main question; how did Man acquire such a bunch of enigmatic genes? In the evolutionary progression from bacteria to invertebrates (such as the lineages of yeast, worms, flies or mustard weed – which have been deciphered) to vertebrates (mice, chimpanzees) and finally modern humans, these 223 genes are completely missing in the invertebrate phase. In other words: At a relatively recent time as Evolution goes, modern humans acquired an extra 223 genes, not through gradual evolution, not vertically on the Tree of Life, but horizontally, as a sideways insertion of genetic material from bacteria and changed as result of it!! But if one is to accept a tentative explanation for enigmatic genes that humans possess, offered when the deciphering of the human genome was announced in mid-February, the feat was decided upon by a group of bacteria and that makes all the difference between us and other animals (world) according to the scientists. Now, at first glance, it would seem that 223 genes are no big deal. In fact, while every single gene makes a great difference to every individual, 223 genes make an immense difference to a species such as ours. The difference between Man and Chimpanzee is less than one per cent as genes go, and one per cent of 30,000 genes is 300. Factually these 223 genes are more than two-thirds of the difference between me, you and a chimpanzee! How sure are the scientists that such important and complex genes, through we humans obtain such an immense advantage – “rather recently” – through the courtesy of infecting bacteria? “It is a jump that does not follow current evolutionary theories,” said Steven Scherer, director of mapping of the Human Genome Sequencing Center, Baylor College of Medicine. “We did not identify a strongly preferred bacterial source for the putative horizontally transferred genes,” states the report in Nature. The Public Consortium team, conducting a detailed search, found that some 113 genes (out of the 223) “are widespread among bacteria” – though they are entirely absent even in invertebrates. An analysis of the proteins which the enigmatic genes express showed that out of 35 identified, only ten had counterparts in vertebrates (ranging from cows to rodents to fish); 25 of the 35 were unique to humans. But if Man gave those genes to bacteria, where did Man acquire those genes, to begin with? 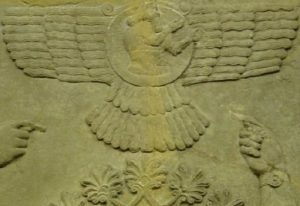 As detailed in the book written by Zecharia Sitchin , beginning with The 12th Planet (1976) and even more so in Genesis Revisited and The Cosmic Code, the Anunnaki came to Earth some 450,000 years ago from the planet Nibiru – a member of our own solar system whose great orbit brings it to our part of the heavens once every 3,600 years. They came here in need of gold, with which to protect their dwindling atmosphere. Exhausted and in need of help in mining the gold, their chief scientist Enki suggested that they use their genetic knowledge to create the needed Primitive Workers. When the other leaders of the Anunnaki asked: How can you create a new being? What he had in mind was to upgrade genetically the existing hominids, who were already on Earth by adding some of the genes of the more advanced Anunnaki. 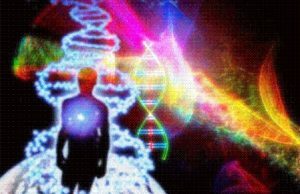 That the Anunnaki, who could already travel in space 550,000 years ago, possessed the genomic science (whose threshold we have now reached) is clear not only from the actual texts but also from numerous depictions in which the double-helix of the DNA is rendered as Entwined Serpents (a symbol still used for medicine and healing). 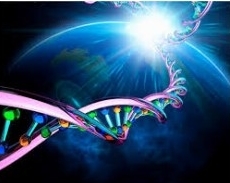 When the leaders of the Anunnaki approved the project (as echoed in the biblical “Let us fashion the Adam”), Enki with the help of Ninharsag, the Chief Medical Officer of the Anunnaki, embarked on a process of genetic engineering, by adding and combining genes of the Anunnaki with those of the already-existing hominids. An ancient artist depicted the scene on a cylinder seal. And that, I suggest, is how we had come to possess the unique extra genes. It was in the image of the Anunnaki, not of bacteria, that Adam and Eve were fashioned. Zecharia Sitchin is admen t that; Unless further scientific research can establish, beyond any doubt, that the only possible source of the extra genes are indeed bacteria, and unless it is then also determined that the infection (“horizontal transfer”) went from bacteria to Man and not from Man to bacteria, the only other available solution will be that offered by the Sumerian texts millennia ago.